CGV 4DX, a multi-sensory experience screening hall that CGV proprietarily developed, surpassed 300 cumulative halls all over the world. CJ 4DPLEX, a CJ CGV subsidiary, opened its 300th global 4DX hall on April 4th at Cineplex Cinemas Yonge-Dundas and VIP in Toronto, Canada. Cineplex is Canada's No. 1 theater operator with 165 theaters and 1,683 screens. As a result, 4DX halls have become a world-class special theater concept with 300 screening halls and 38,000 seats in 42 countries around the world. These special theaters can now receive approximately 70 million moviegoers a year. This growth was achieved in seven years since 4DX halls were first launched in 2009. Analysis says that 4DX’s expansion is accelerating thanks to a virtuous cycle of an increase in 4DX contents, production of successive works and a growing trend to watch 4DX films. 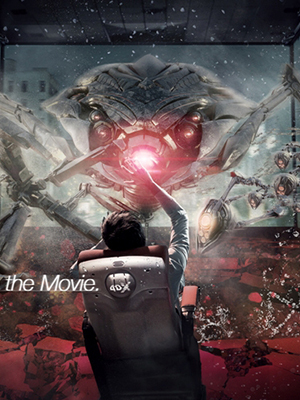 The number of 4DX films, which had numbered only 10 in the first year of its launch in 2009, soared to 80 this year. Over the past seven years, 4DX films grew eight-fold. In strong cooperation with Hollywood’s major studios, movies of various genres such as action, animation, among others, are shown every year in 4DX. Even in Japan, they produced and released a 4DX horror movie in June. “Captain America: Civil War” is the most commercially successful 4DX film of this year with over one million viewers. The blockbuster enjoyed immense popularity to such an extent that it chalked up an occupancy rate of about 40% during its box-office run. “Batman vs. Superman” and “The Jungle Book” each attracted around 700,000 people, taking the initiative in expanding 4DX films’ worldwide popularity. This success of 4DX movies has triggered a boom in the opening of 4DX screening halls all over the world. 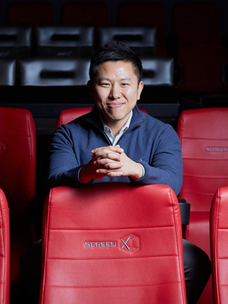 With approximately 12 million viewers in 2015 and a box office performance of US$160 million, 4DX is emerging as a new revenue generating model for the slumping movie theater business. Theater companies’ positive responses to the introduction of 4DX screening halls lead to an average of 7.5 new 4DX screening hall openings a month throughout the world and, therefore, a spike in the number of 4DX theaters. 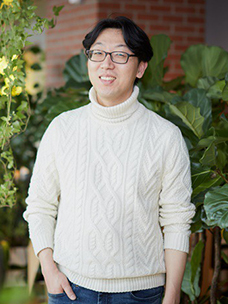 "As the number of 4DX theaters around the world surpassed 300, an economy of scale was realized, which created a virtuous cycle structure which set off an increase in the number of 4DX films and the number of viewers,” CJ 4DPLEX CEO Choi Byeong-Hwan said. “We will develop new business models such as 4DX VR as well as new effects apart from the expansion of our 4DX theater business." On the other hand, 4DX is a special multi-sensory experience screening hall commercialized for the first time in the world by CJ 4DPLEX. Special environmental equipment combines with motion chairs and creates a variety of multi-sensory effects such as moving chairs, vibrations, wind, water splashes, and scents in accordance to the particular movie scene. Delicate 4D programming work based on the flow of movies and emotional lines is a core technology, causing 4D films to be regarded as a creative effort combining IT and cultural sensitivity.